Pregnant and unwed, Anna Jorgesen is disowned by her parents and sent to America from her beloved Denmark and all she holds dear. With high hopes and plans to wed the father of her unborn child, Jorn Stryker, her heart is full of dreams. 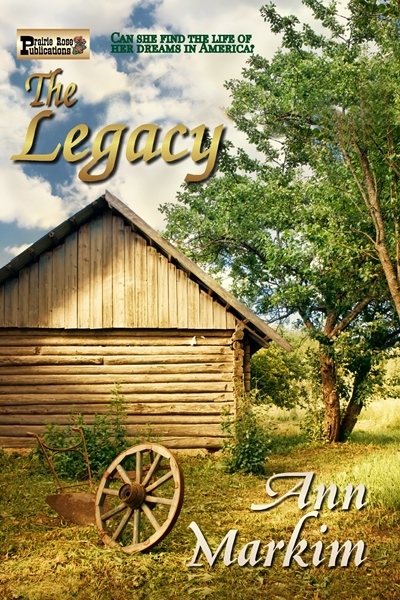 But Jorn greets her with little enthusiasm, and reluctantly agrees to marry Anna in order to be able to continue his business of helping young men emigrate to America—with her family’s help. Jorn assigns a farm hand, Halvor Hansen, to look after Anna each year when he returns to Denmark for his next group of emigrants, and slowly, Halvor begins to fall in love with Anna. Could she ever return his love, or will she remain steadfastly loyal to her harsh husband, who seems to care nothing for her or his growing family? Anna becomes more self-reliant as she grows into womanhood, and faces disappoints in her turbulent marriage to Jorn—until something happens that rips her world apart, changing her life in more ways than she would ever have believed. She is forced to make a painful decision, and though she feels she can live with the finality of it, that choice threatens to turn the entire town against her. With the unforeseen, far-reaching consequences of the choice she makes, will everything be lost to her? Or will she be able to at last find happiness?